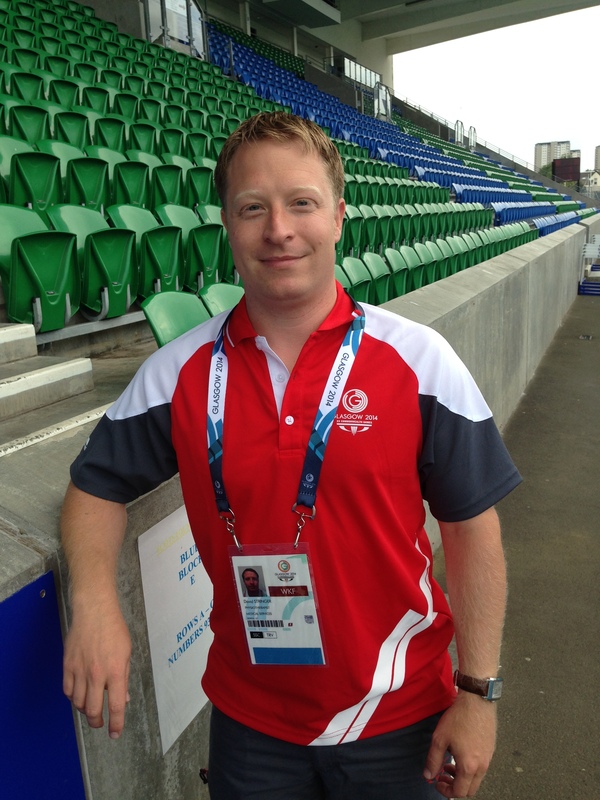 This summer David has been working at the Commonwealth games in Glasgow as a member of the commonwealth games association’s medical team. David has a great deal of experience in this area having held similar roles at both the 2002 Commonwealth Games in Manchester and also the London 2012 Olympics. This time around David was based at Scotstoun Stadium, usually the home of the Glasgow Warriors Rugby Union Team. For the Games though it was home to the squash and table tennis competition as well as the being the athletics training venue. David’s role was predominantly with the track athletes, providing physiotherapy and track side medical care. He was involved in treating athlete’s from a number of nation’s including South Africa, The Caymen Islands, The Seychelles, Grenada and Kenya. We saw a mixture of athletes from 100m sprinters to decathletes’ and long jumpers’. Clearly their needs are all very different, depending on their sport but it was great to be working with such a diverse group as it really keeps you on your toes.